Microsoft, Bring Folding@Home to Xbox, Will Ya? Hey Microsoft! It's me, Adam. Do me a favor, will you? 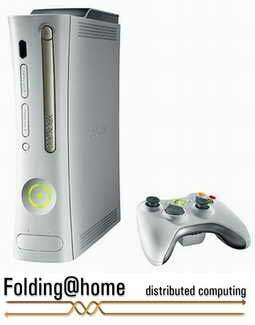 Make Folding@Home available for Xbox 360 users. We saw earlier today how awesome the PS3 is at folding, so why not let your sweet console get in on the action? While 99.999 percent of fanboy fights end up with everyone being a loser (similarly to how they begin), this battle of the consoles would benefit everyone. Xbox users and PS3 users could compete to see who could complete more Work Units faster, determining which console is superior. And at the end of the day, it doesn't really matter who wins, because it would allow for many, many more people to put what is a dormant computer when not in use into an Alzheimer's curing machine. And heck, since there are many times more Xboxes out there than there are PS3s, you'll start at an advantage and this thing could really take off. So how about it? You don't want Sony to get all the good publicity that's coming from this Folding@Home business, do you? Let's make it happen.